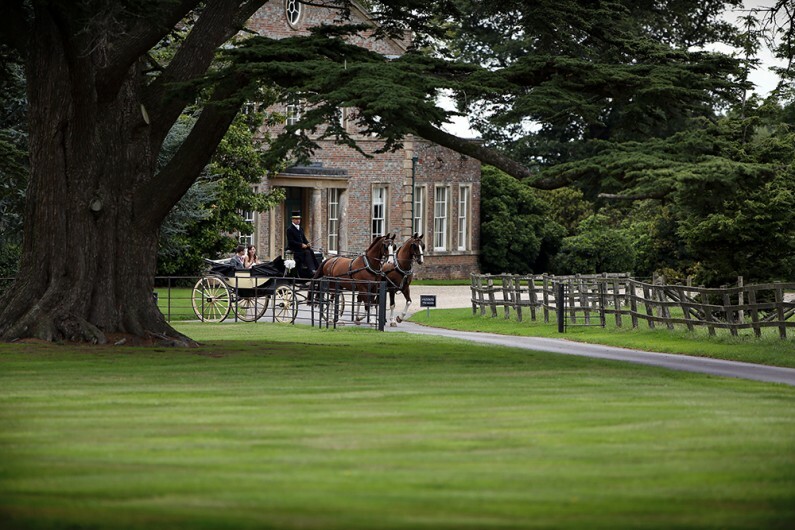 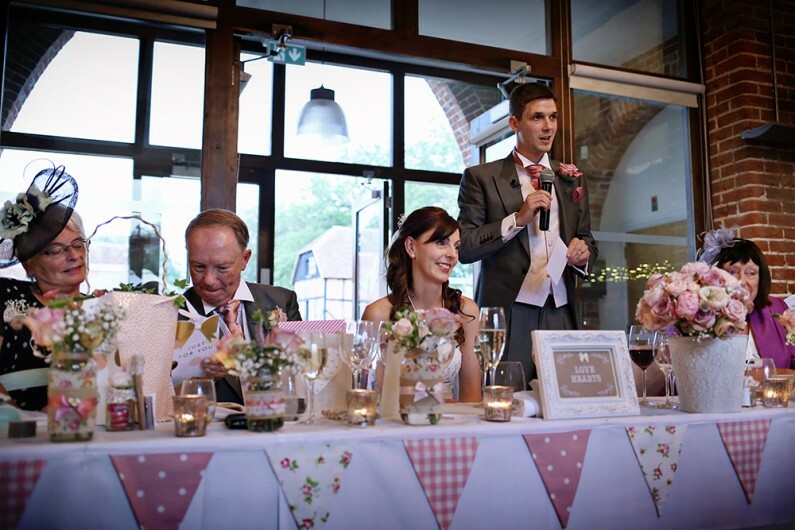 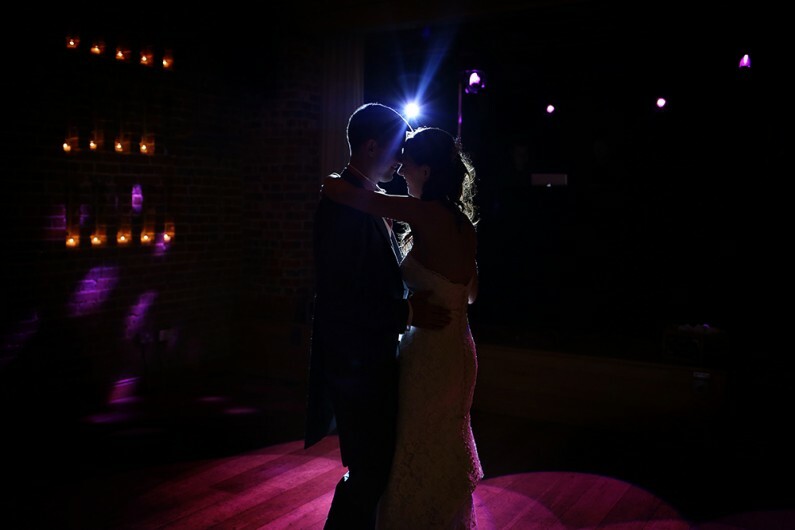 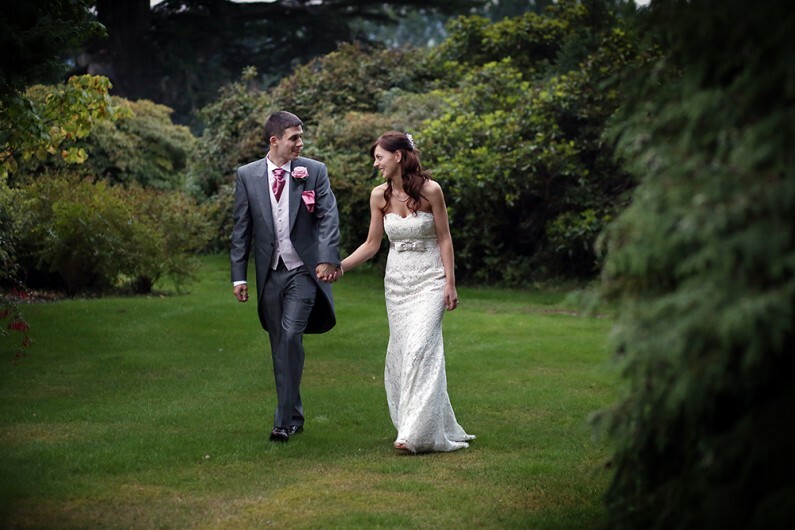 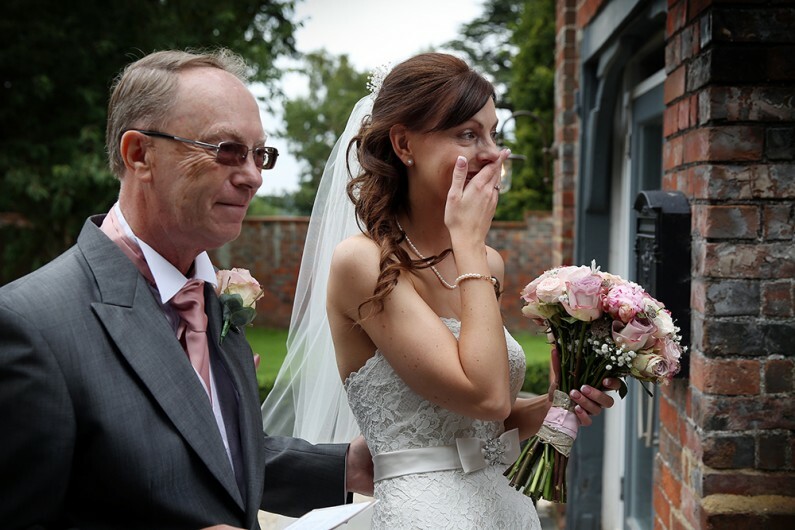 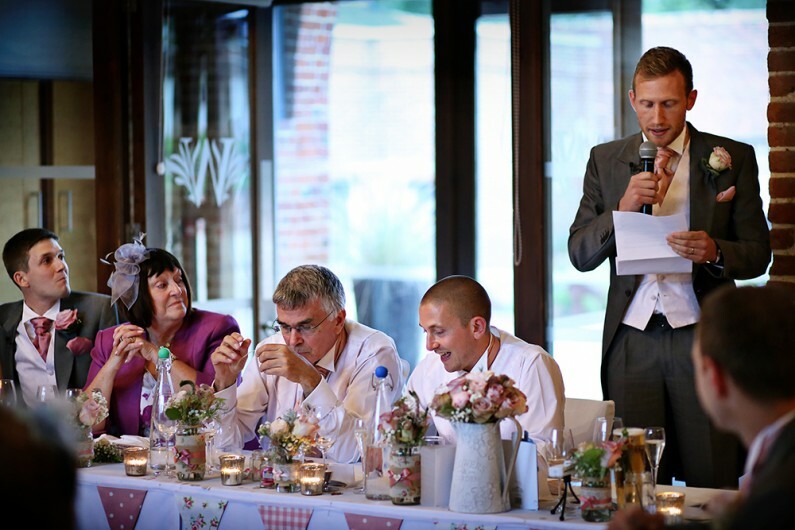 I love weddings at Berkshire’s Wasing Park for so many reasons and Faye and Laurence’s wedding there in August 2015 was very special indeed. 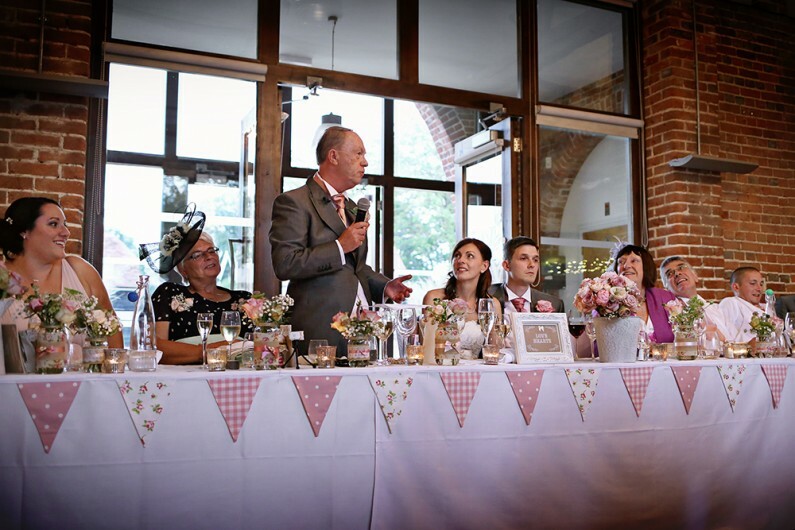 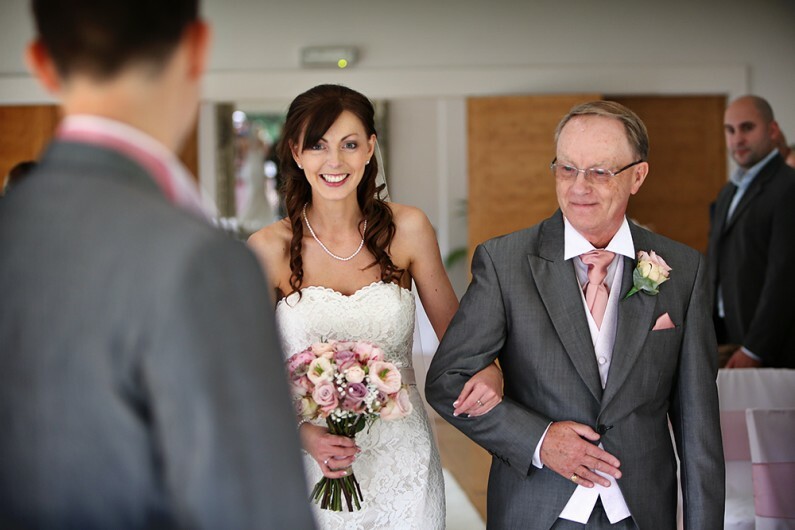 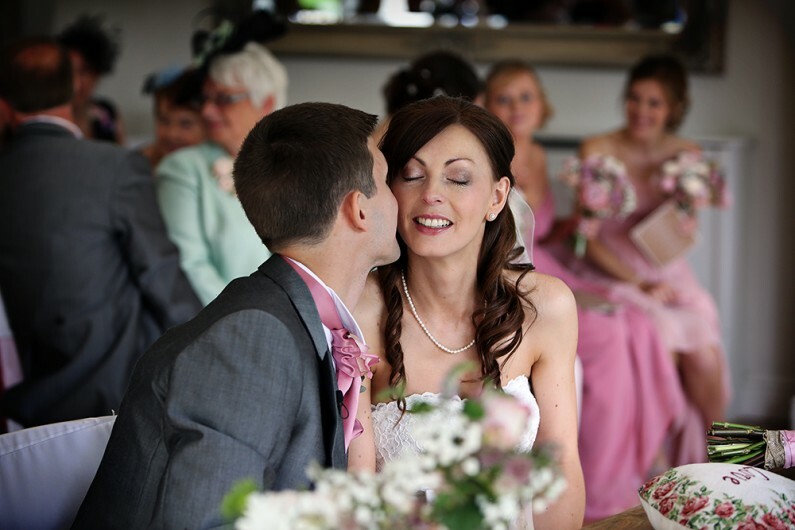 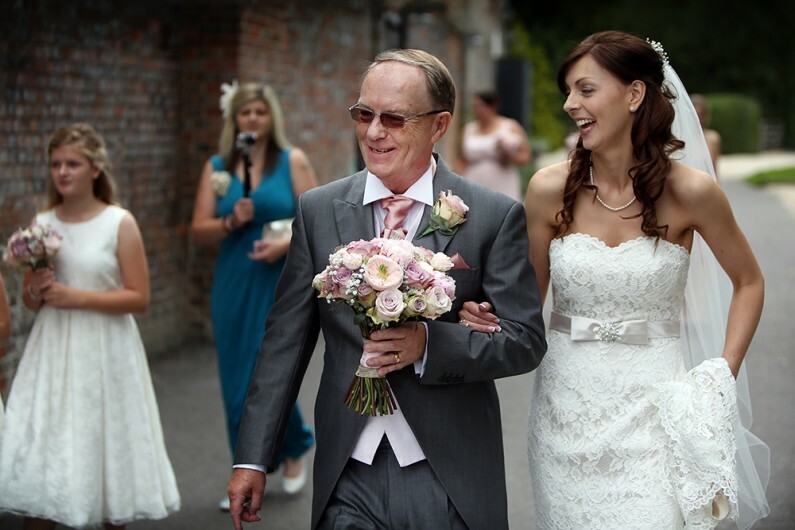 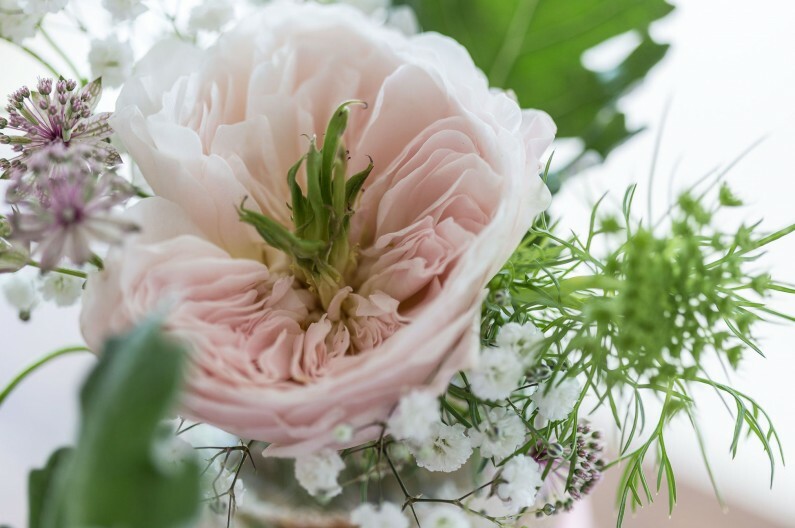 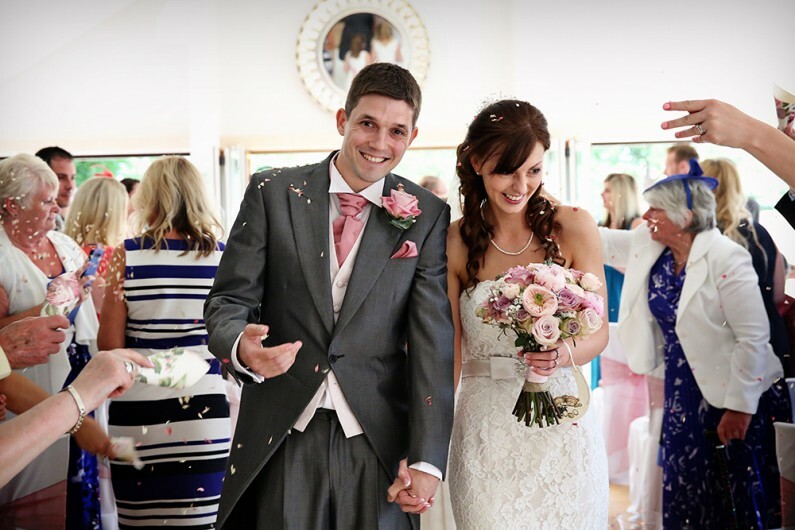 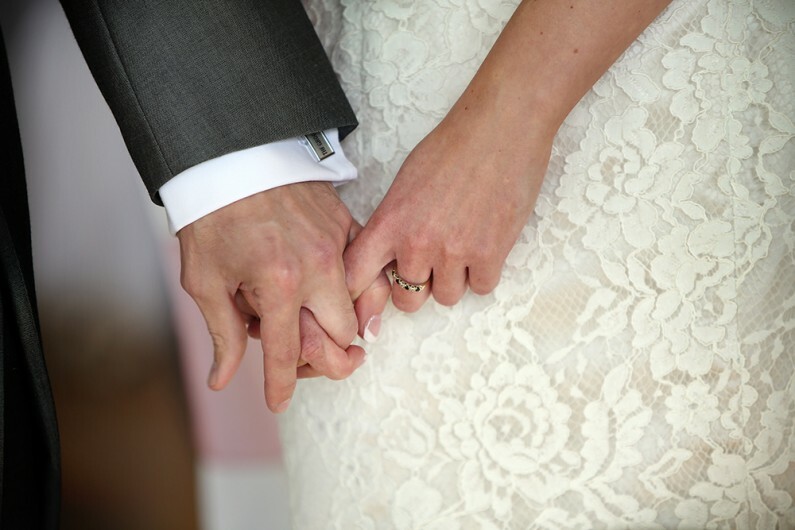 I had provided the flowers for the wedding of their best man and bridesmaid two years earlier so it was such a pleasure to be recommended for this fab occasion. 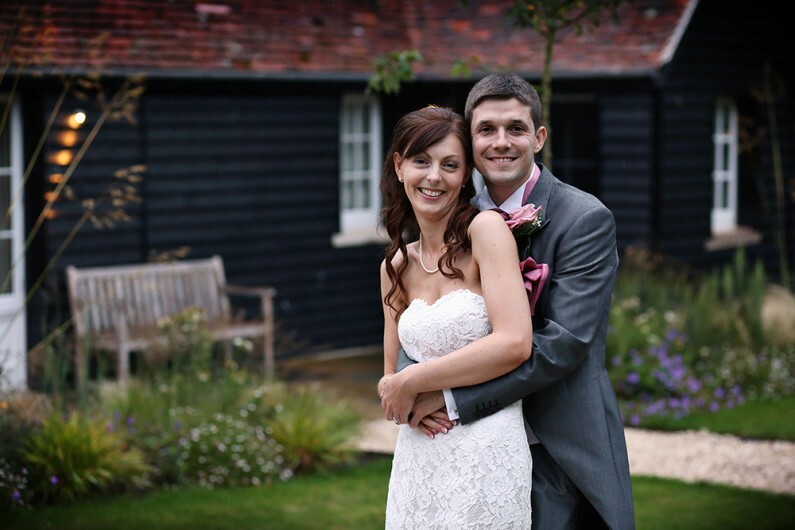 Faye and Laurence (and Fudge the dog who you’ll certainly see in some of the photos!) 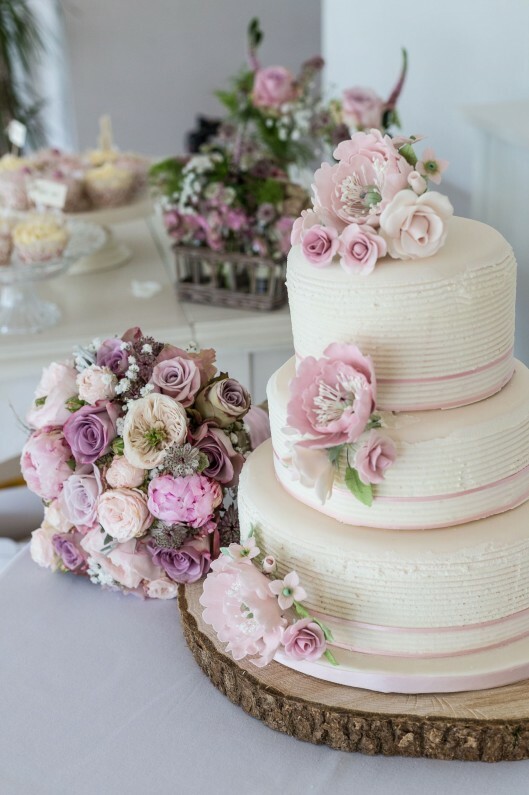 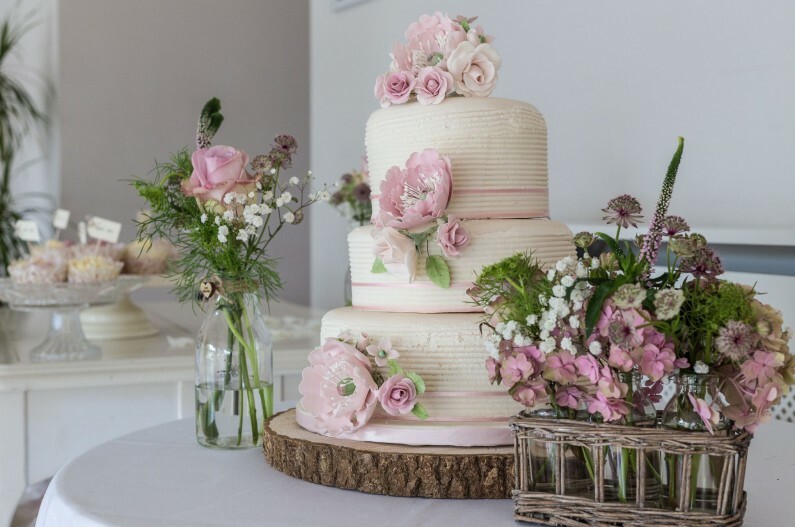 wanted a very relaxed, informal feel for their wedding and they also wanted to indulge with some wedding DIY so there’s plenty of their handiwork on display throughout the day. 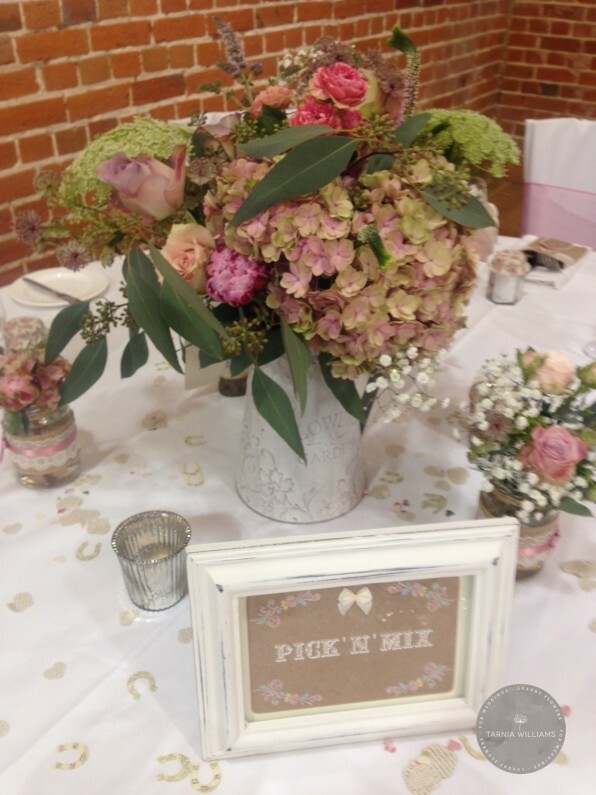 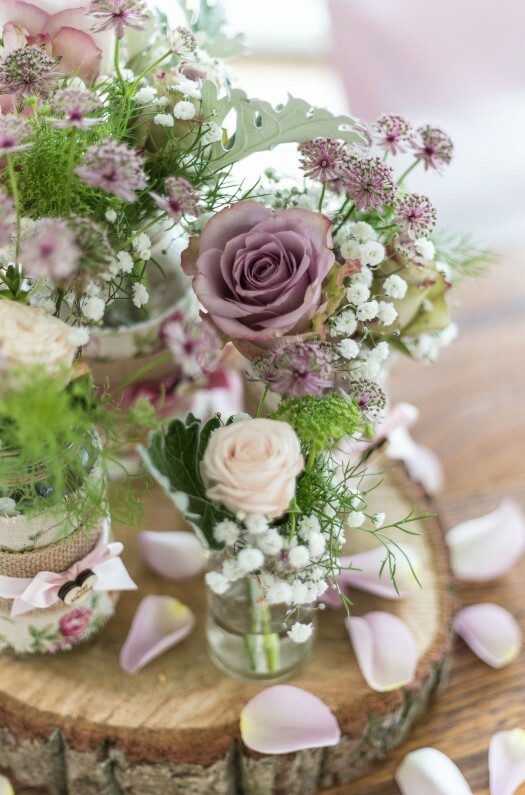 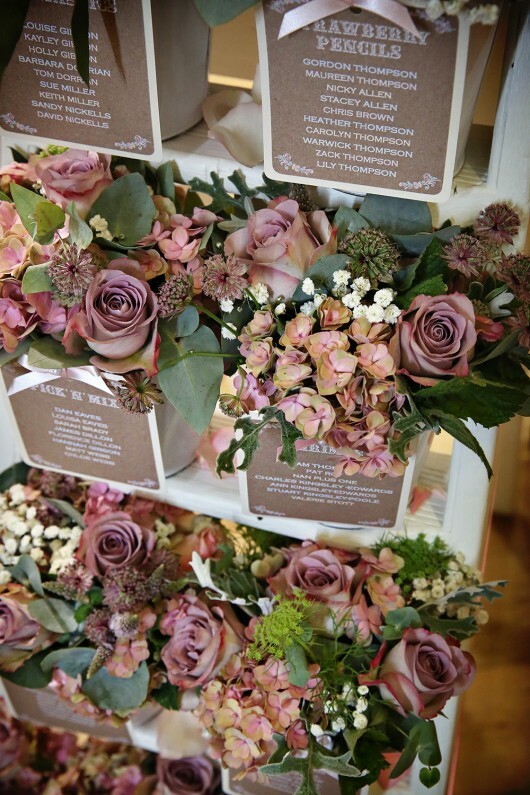 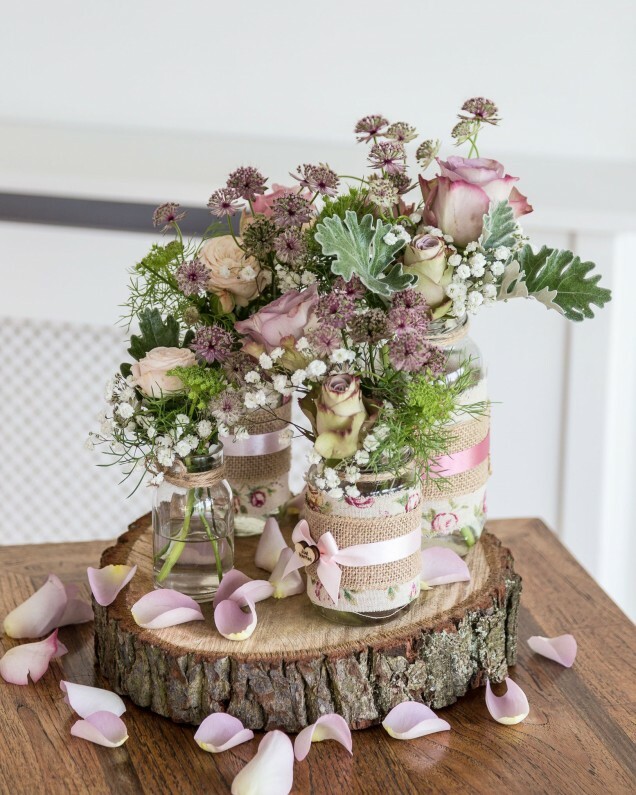 We started with a rustic, country palette with shades of dusky pink and developed our ideas from there. 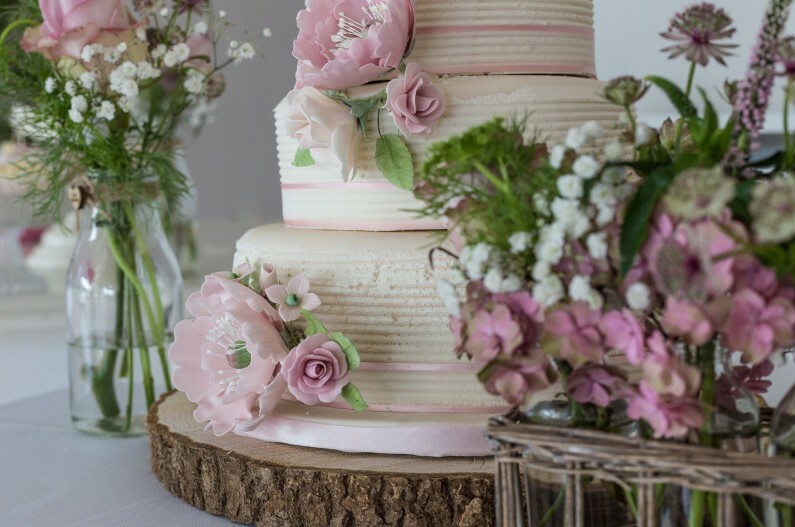 Faye wanted a country style hand-tied bouquet and the addition of classic gypsophila certainly brought a light, delicate touch to the bouquet which was finished with a hessian handle, a pink ribbon overlay and pretty pearl pins. 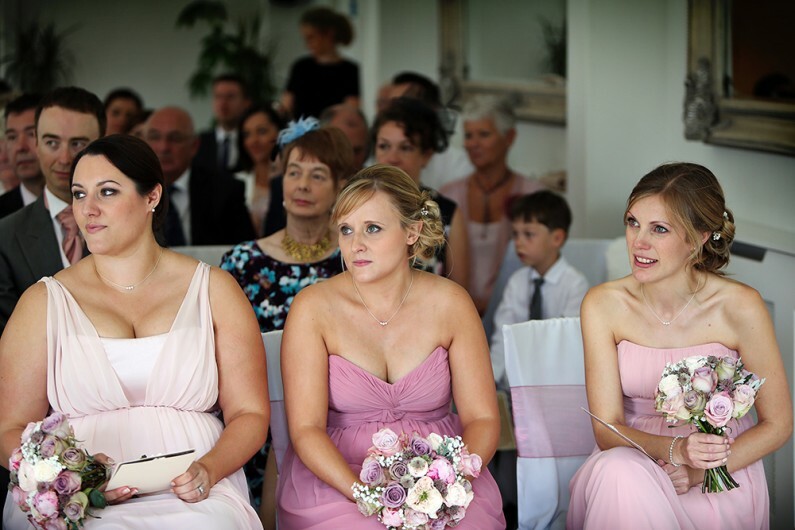 The three adult bridesmaids wore dresses of different styles and shades but their bouquets, which matched the bride’s, provided a fantastic unifying touch. 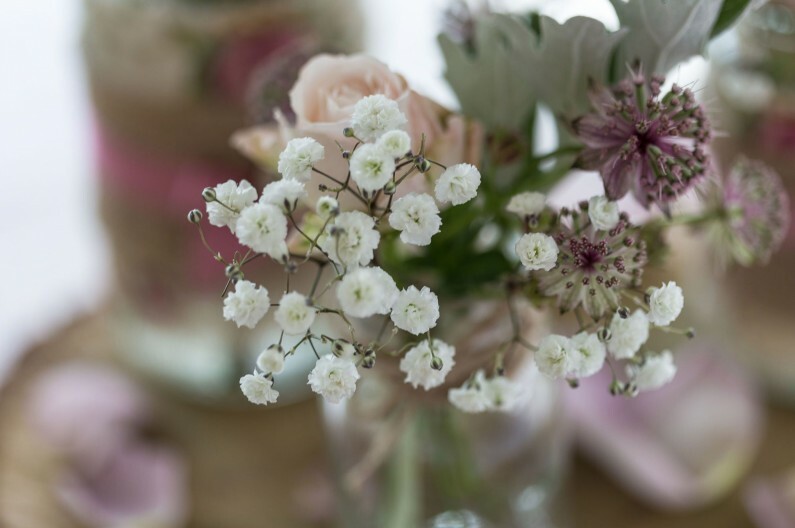 The mini maids meanwhile carried sweet little posies that worked really well with their ivory dresses. 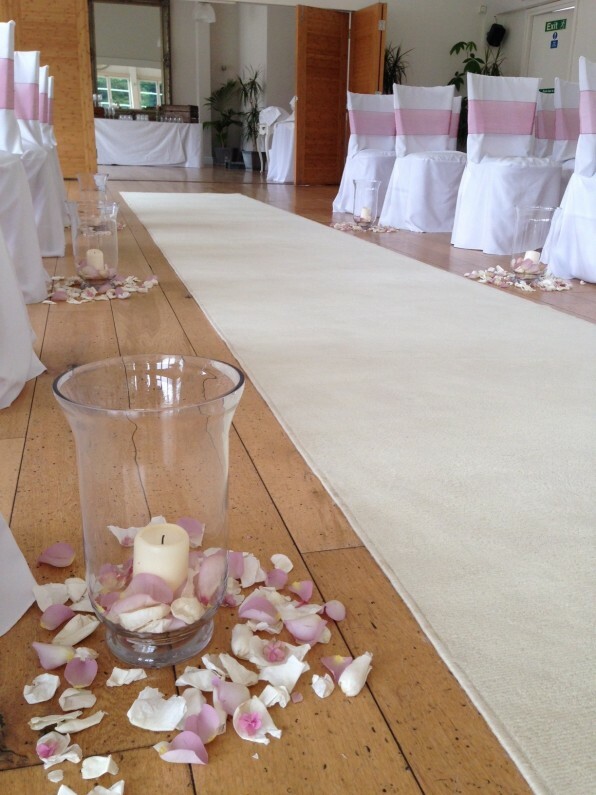 Glass hurricane lanterns, church candles and rose petals lined the aisle in the ceremony room and we also provided plenty of natural petal confetti that was thrown with great gusto by all the guests after the ceremony! 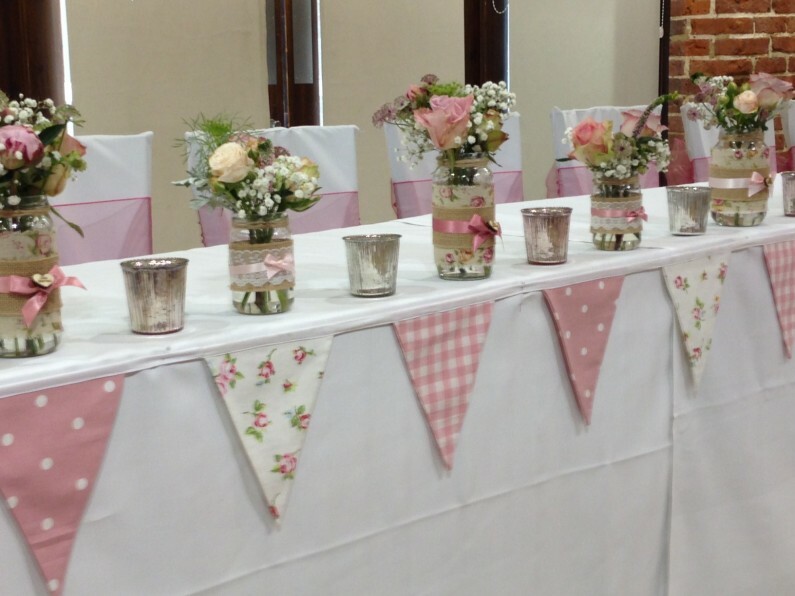 Faye & Laurence’s involvement in the décor was most definitely in evidence at the reception. 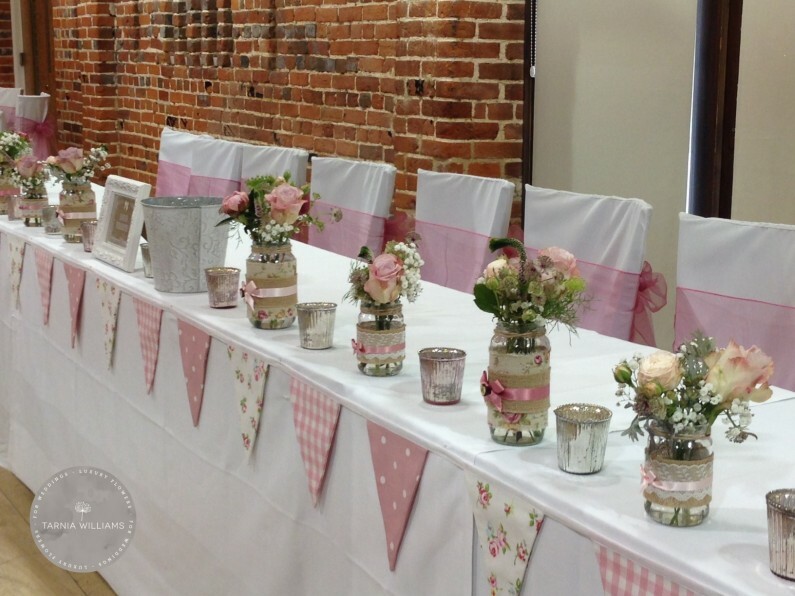 Their handmade cutlery holders, crafted in hessian and ribbon, decorated the guest tables and they had also decorated lots and lots of jam jars to suit their theme. 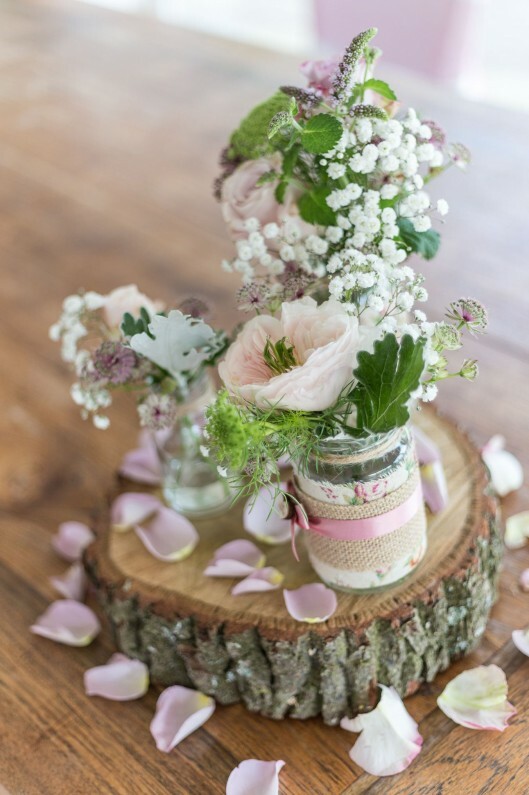 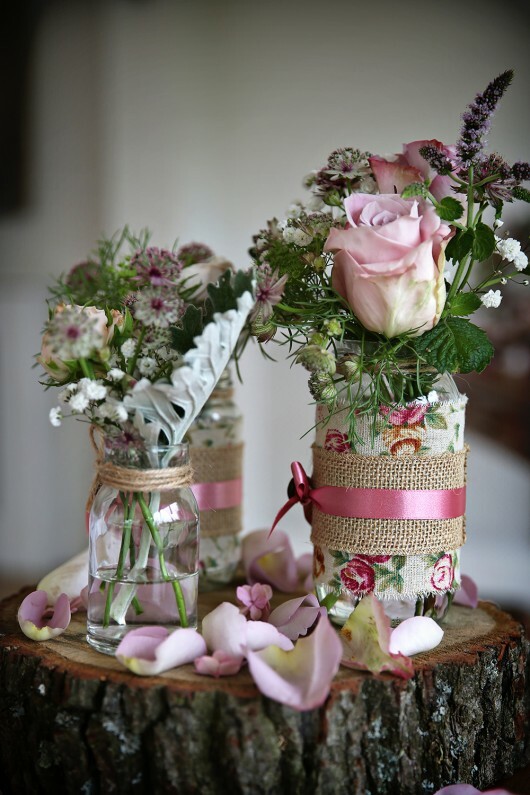 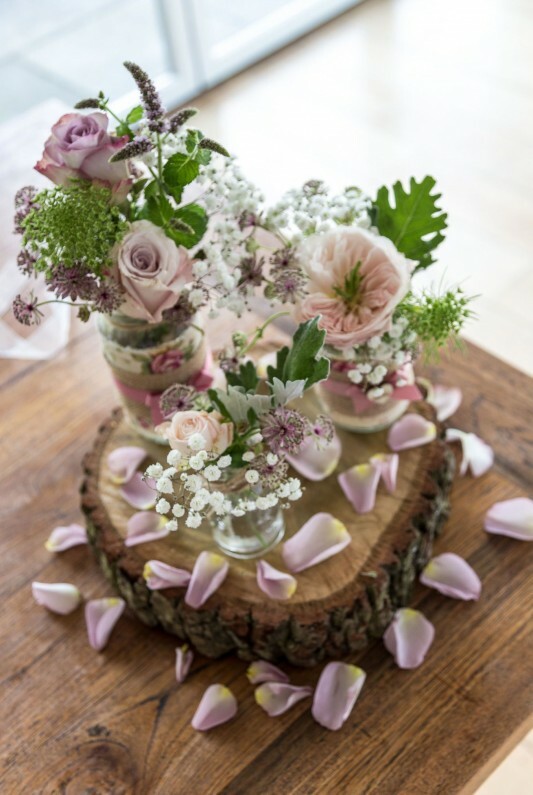 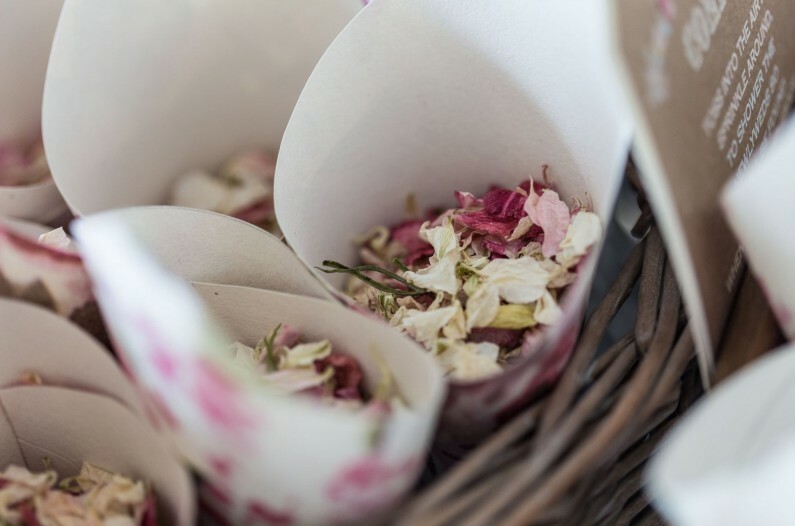 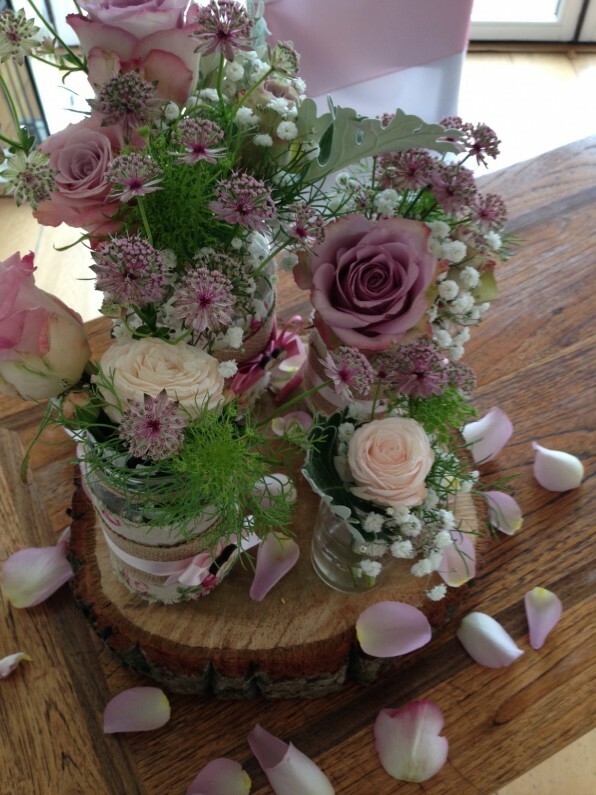 We added country flowers to these and set them alongside rustic jugs that were also full of beautiful blooms. 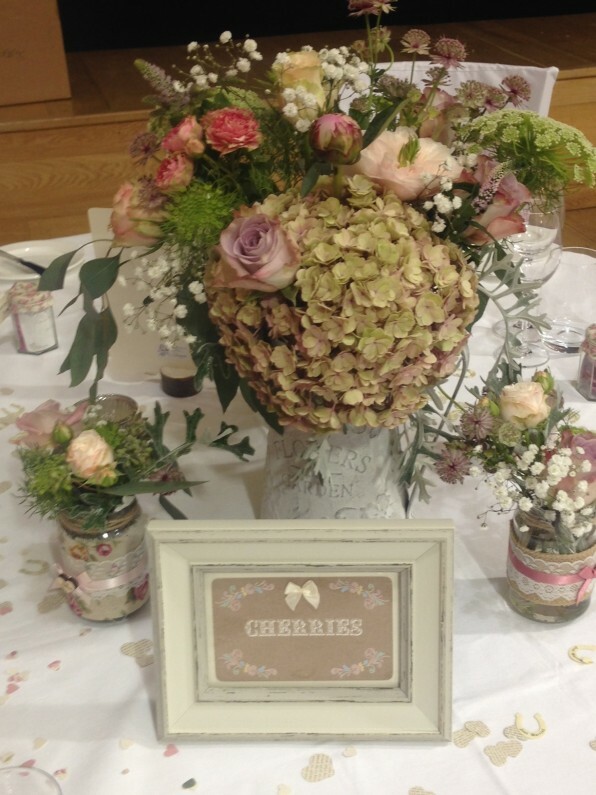 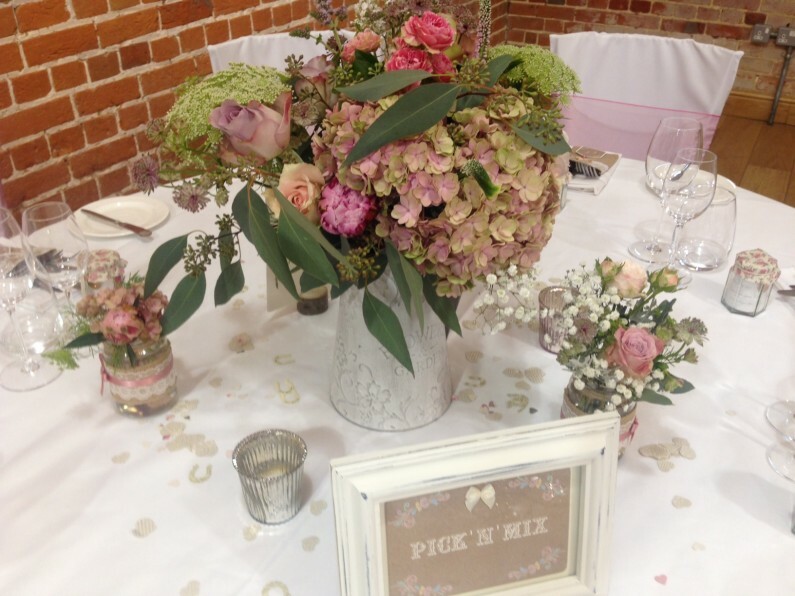 The top table was also adorned with flower filled jam jars and we re-used the bridal party flowers here too. 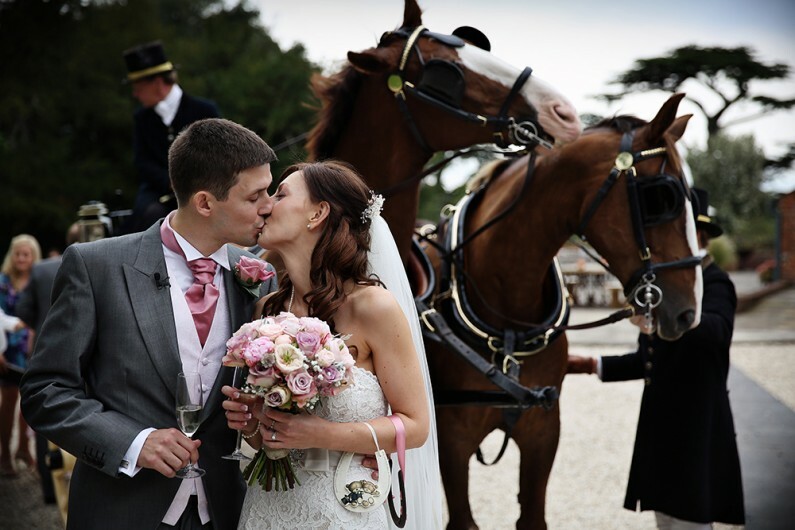 The bouquets and posies were simply popped into waiting jugs after the ceremony and the end result was just super. 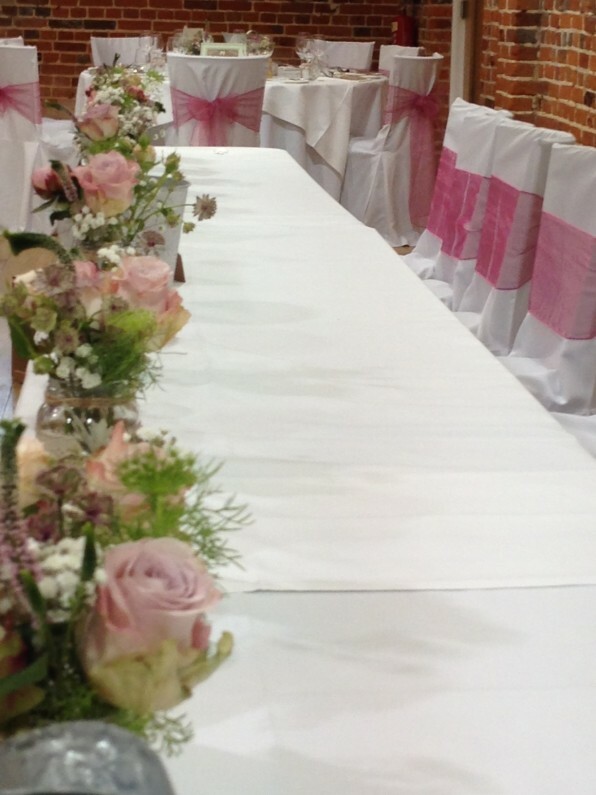 However, it was the table plan that caused the most comment. 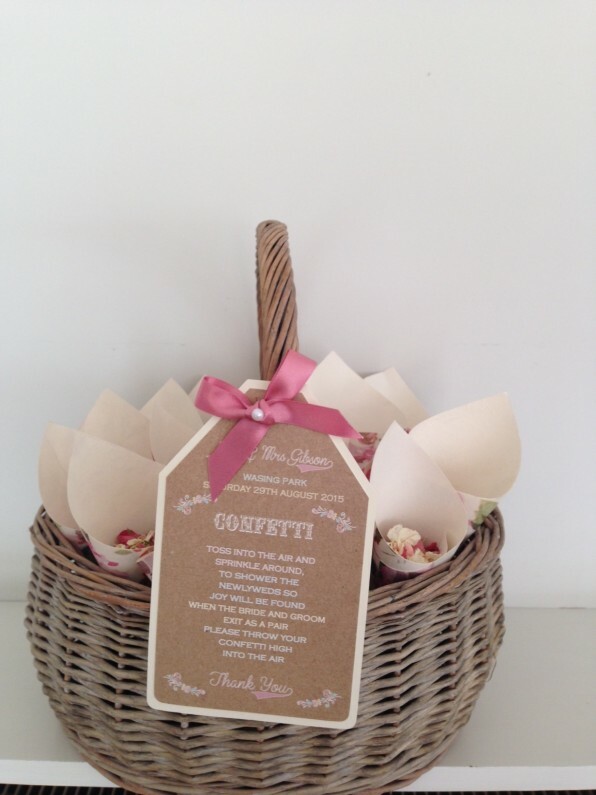 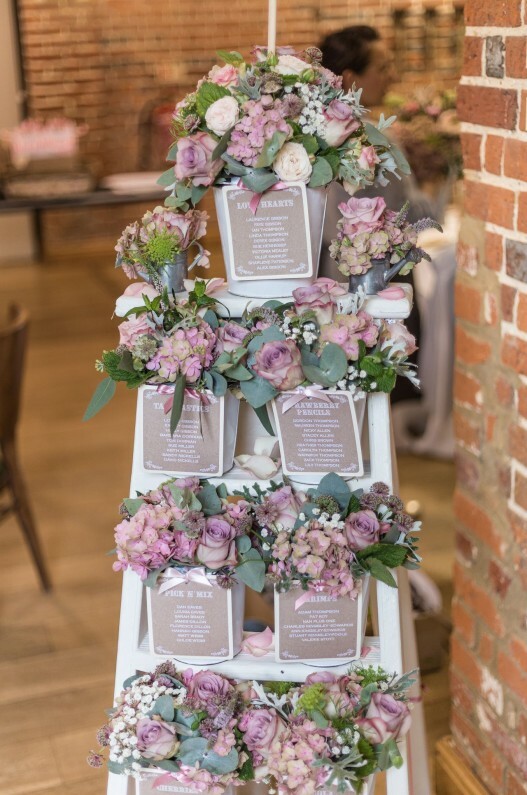 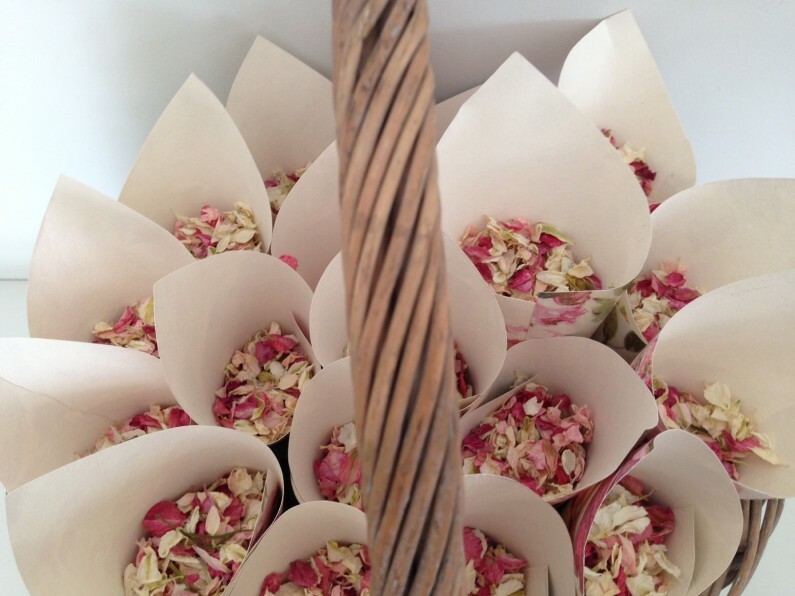 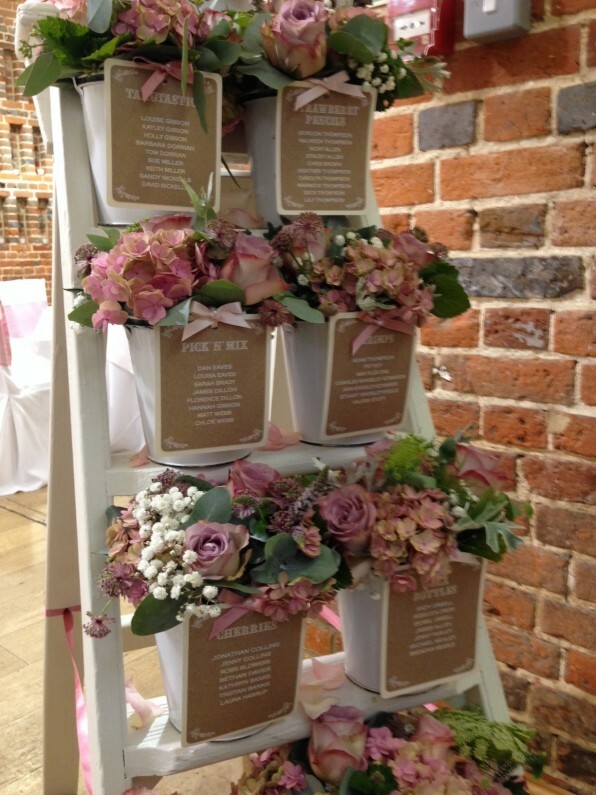 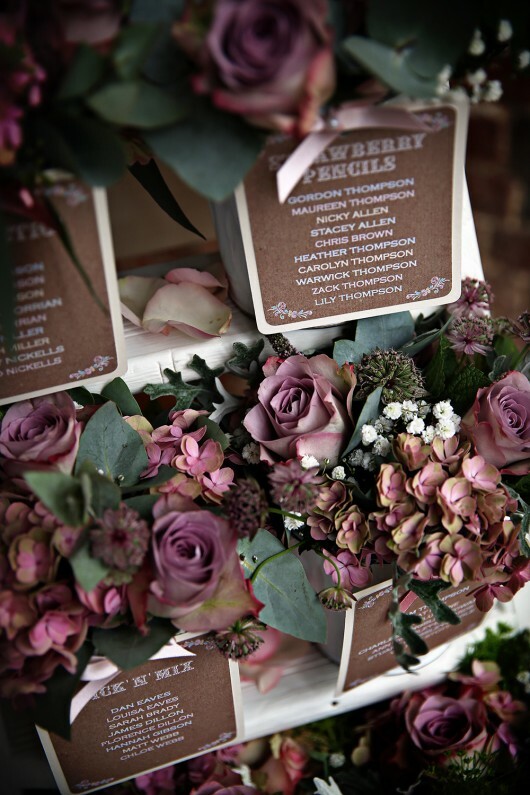 For this, we filled rustic pails with flowers and arranged them on a vintage ladder alongside the seating cards. 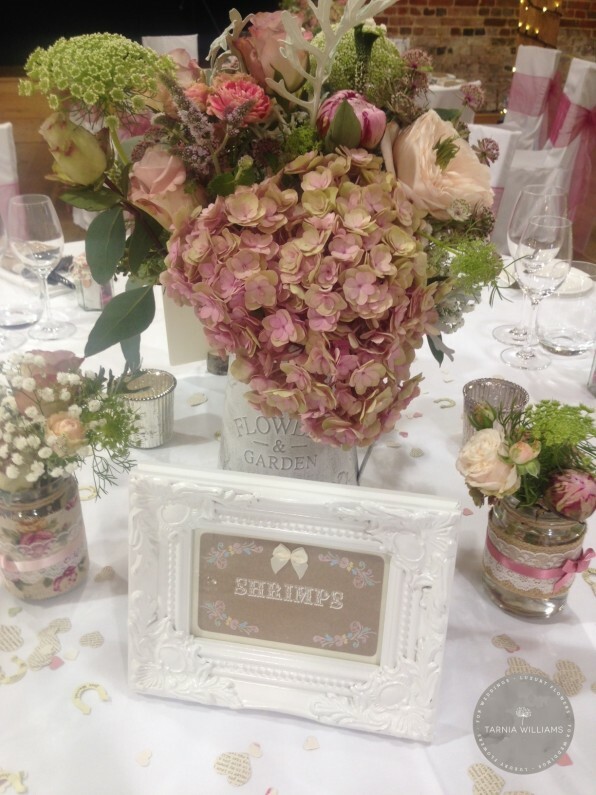 It was a real showstopper that certainly grabbed the attention of guests as they entered the reception. 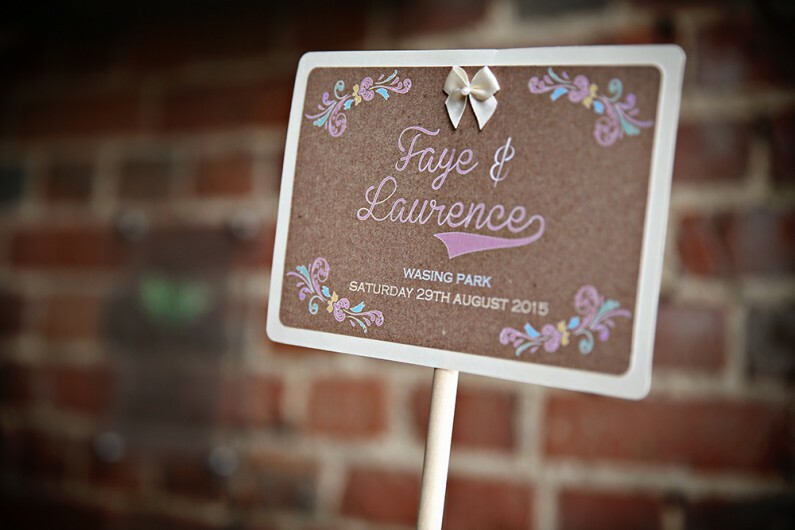 It was an absolute pleasure to work with Faye and Laurence and I loved their creativity and ideas for their day. 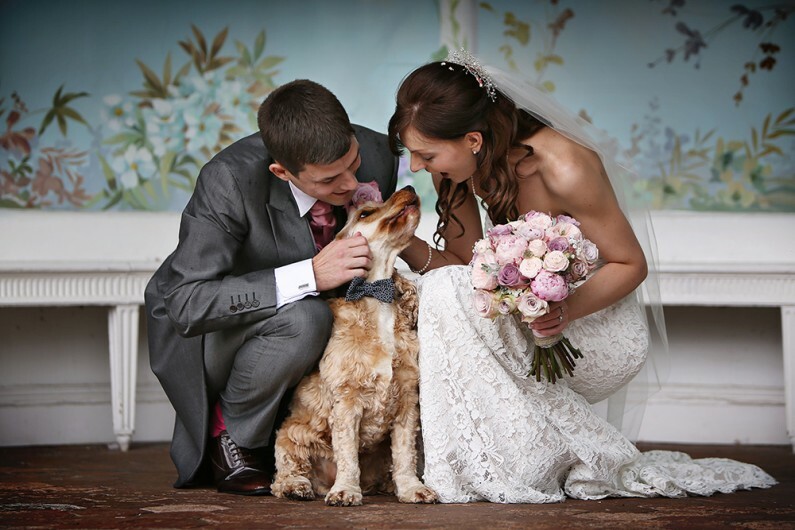 I also adored the fact that their beloved Fudge was part of their wedding too and a dog in a bow tie is always going to make me smile! 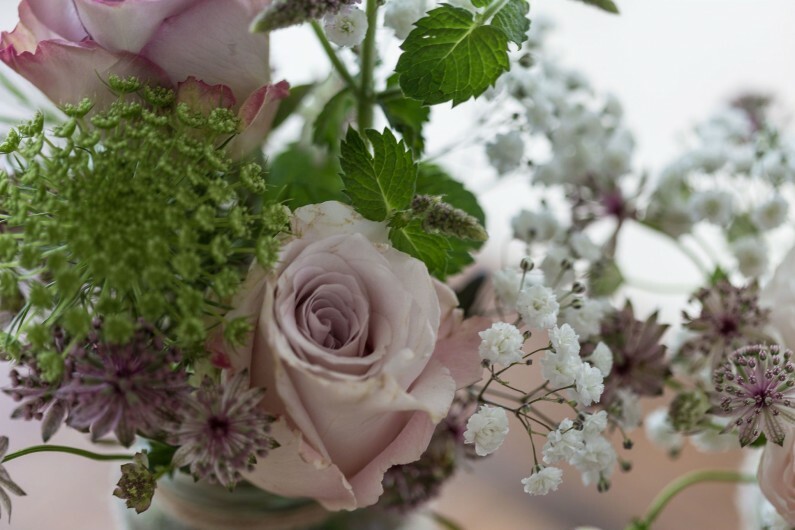 Thank you so much for being a fantastic florist from start to finish. 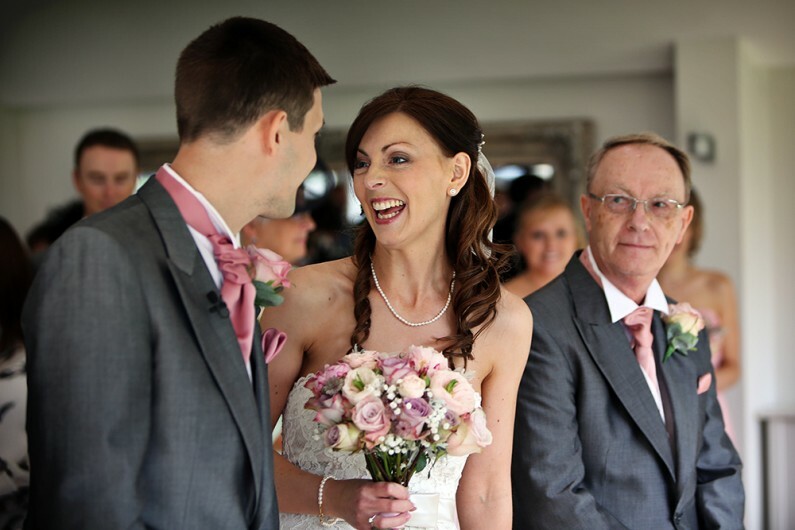 We were delighted with everything. 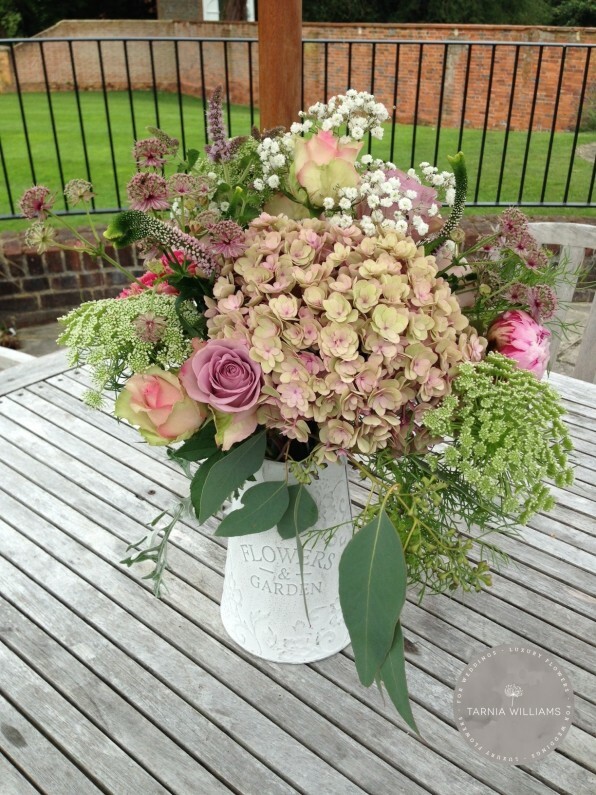 Peonies, garden roses, roses, spray roses, astrantia, ammi, hydrangea, gypsophila, veronica, eucalyptus.